This May we traveled to SE Asia and visited Cambodia for our first stop. 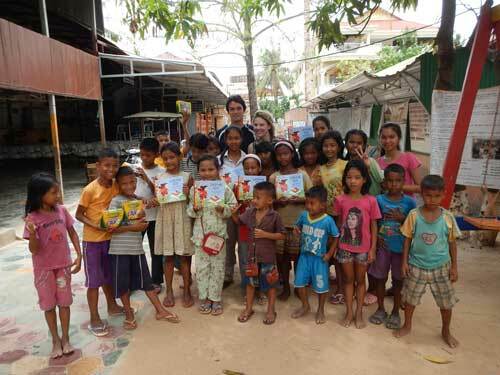 After discovering Pack for a Purpose we decided to bring school supplies to the local children. It was easy to make room in our backpacks for the supplies and we even bought some extra mosquito nets once we arrived to deliver as well. The children were all grateful and truly enjoyed practicing their English with us during our visit. By supporting a local boutique hotel, we knew we were able to support the local economy and the people who actually live there. Soria Moria Boutique Hotel was fantastic and so close to everything. We would recommend staying here. They were also extremely helpful in taking us to the orphanage to drop off all of our schools supplies. We will definitely pack for a purpose on every possible trip.